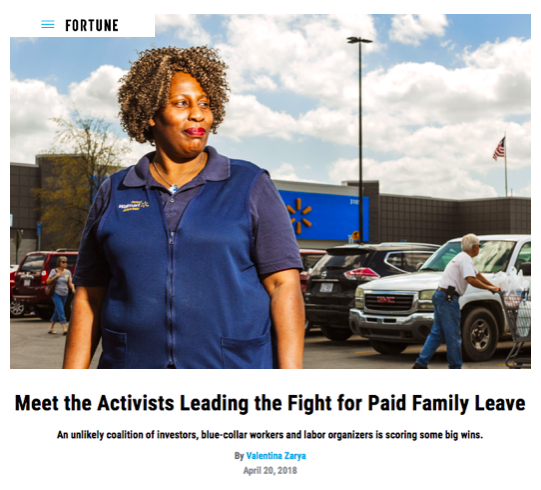 Our campaigns and policies reach those in power. 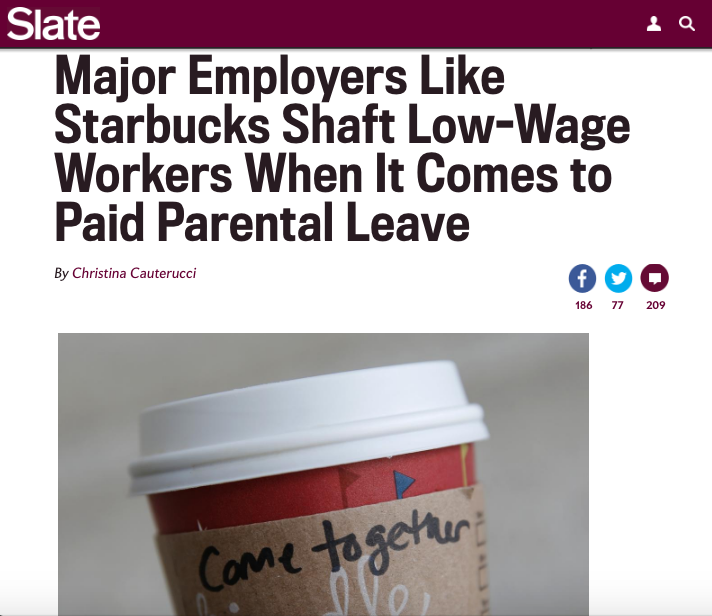 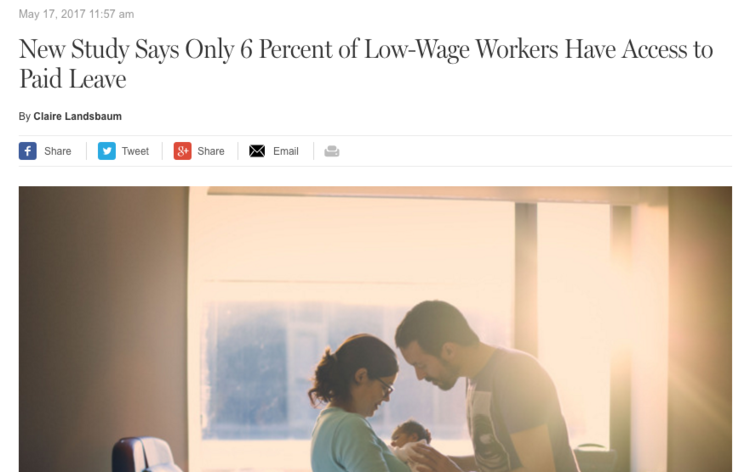 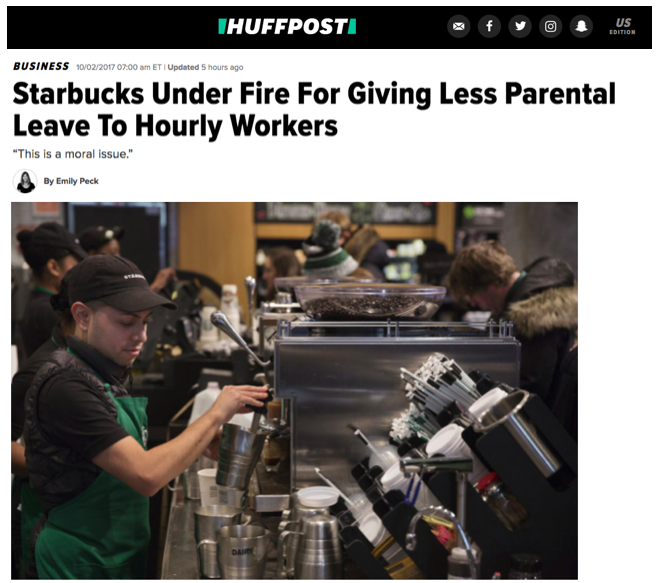 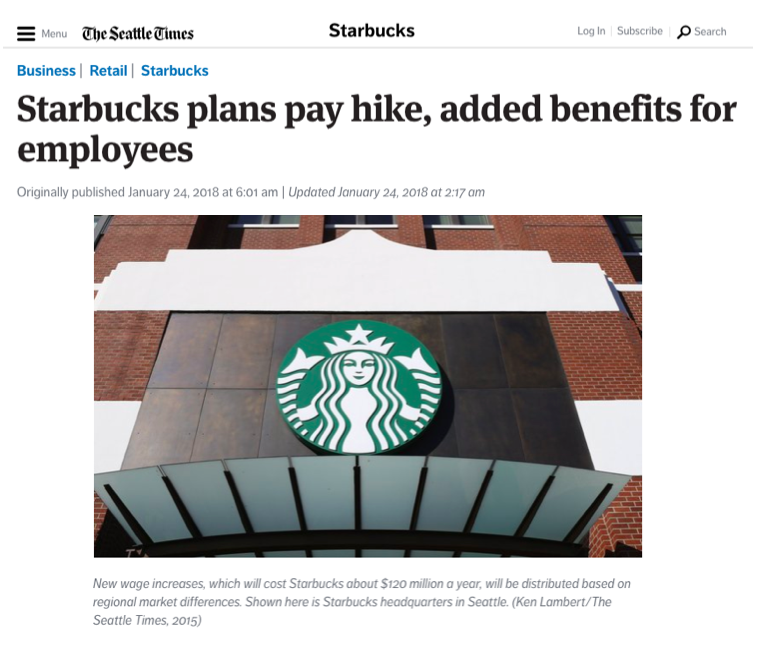 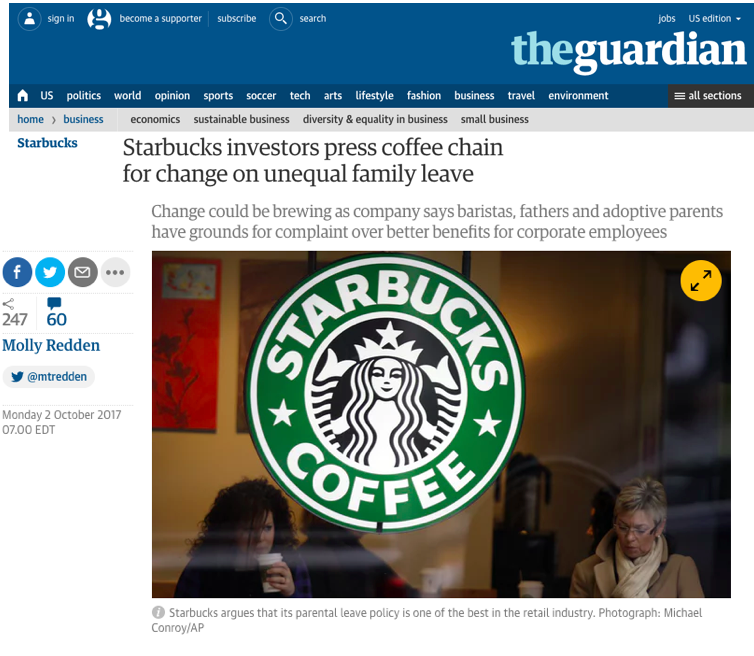 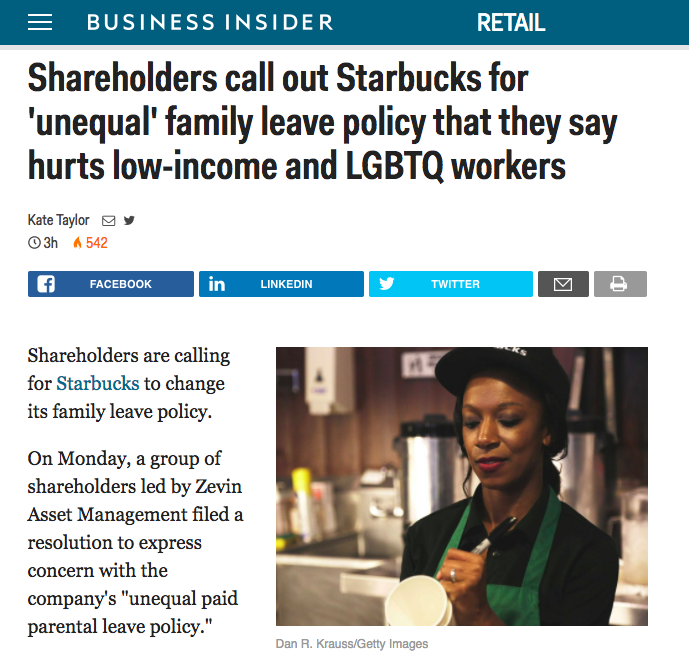 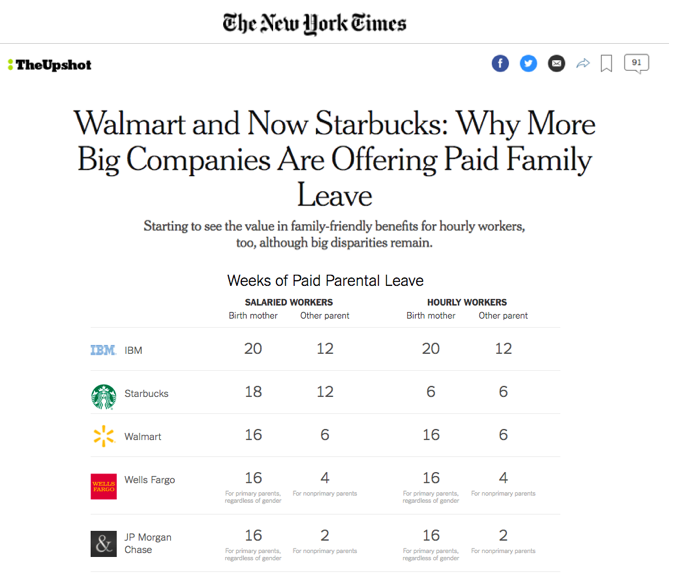 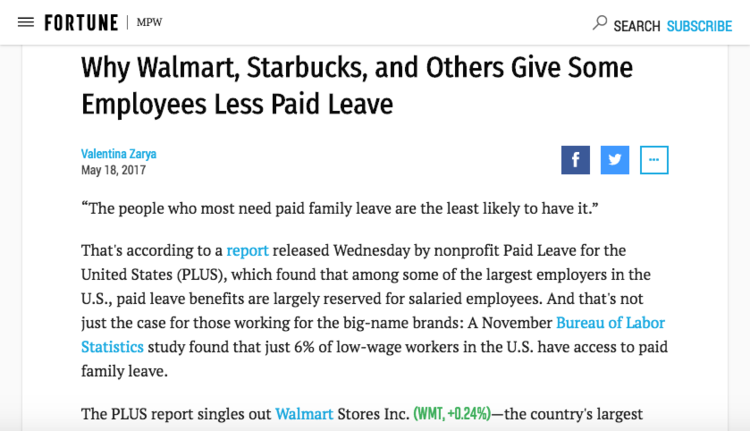 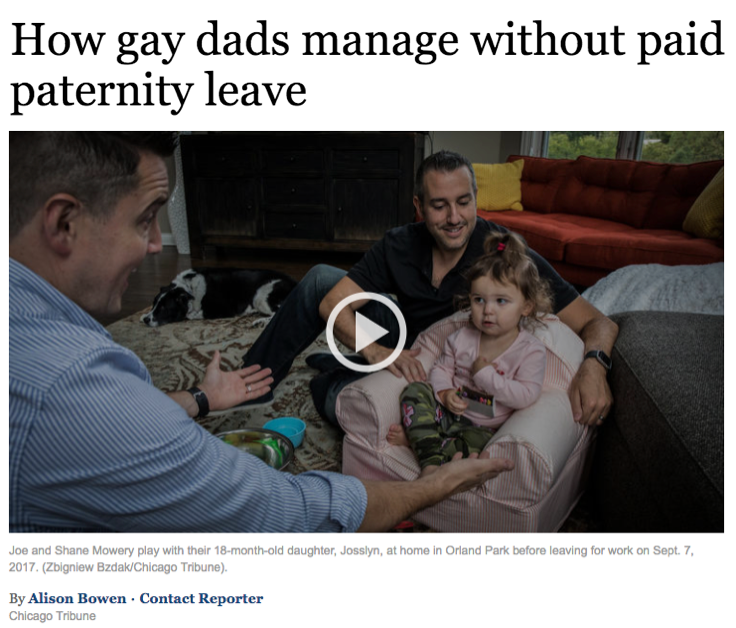 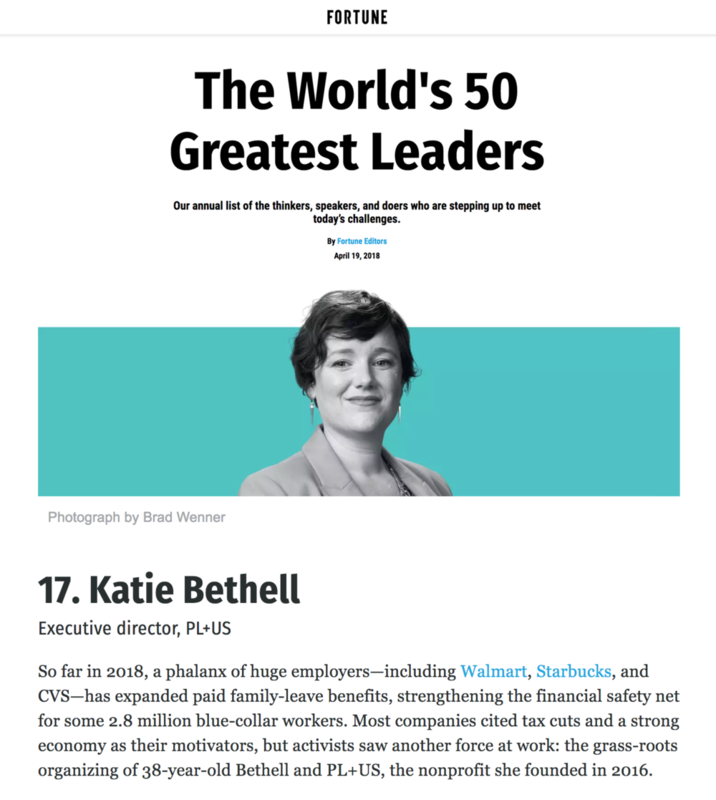 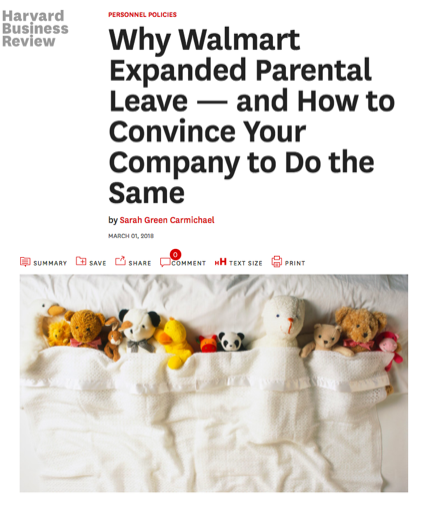 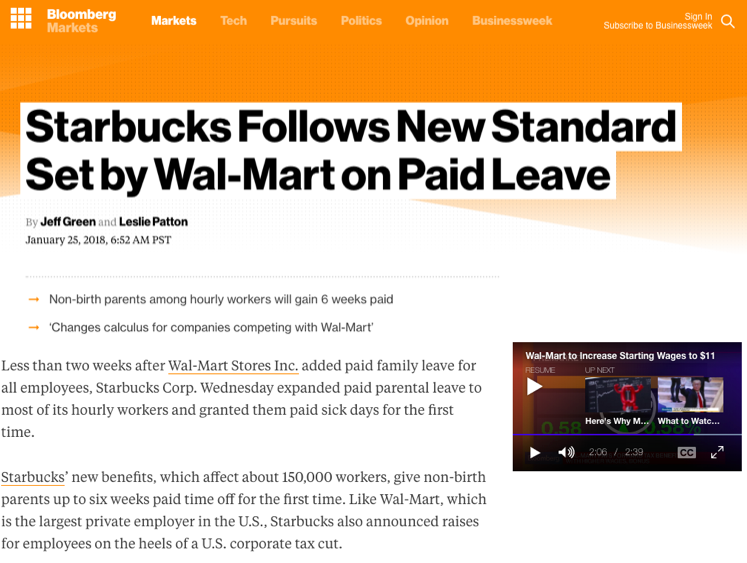 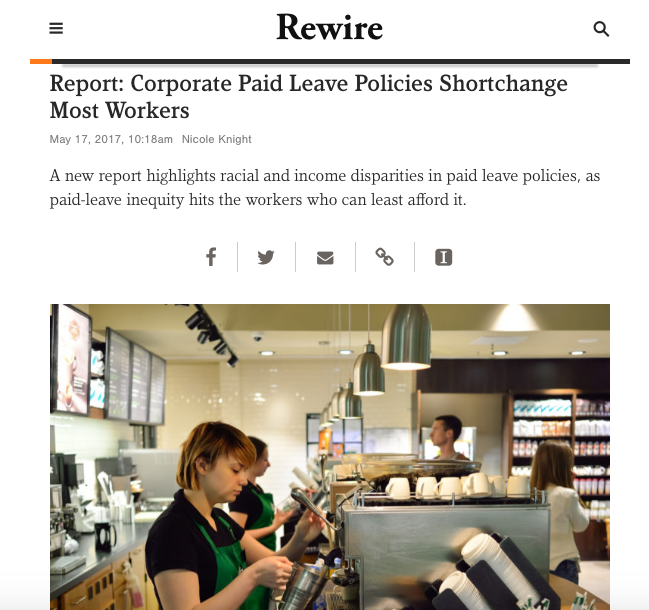 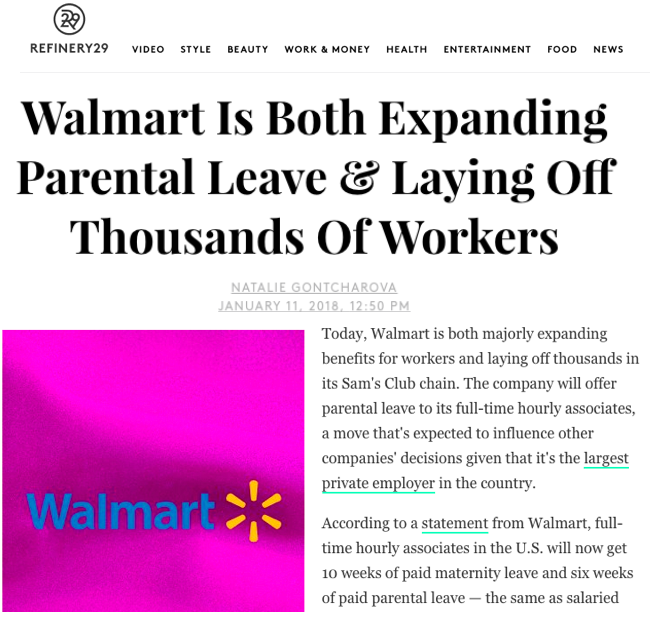 Walmart and Now Starbucks: why More Big Companies Are Offering Paid Family Leave (New York Times). 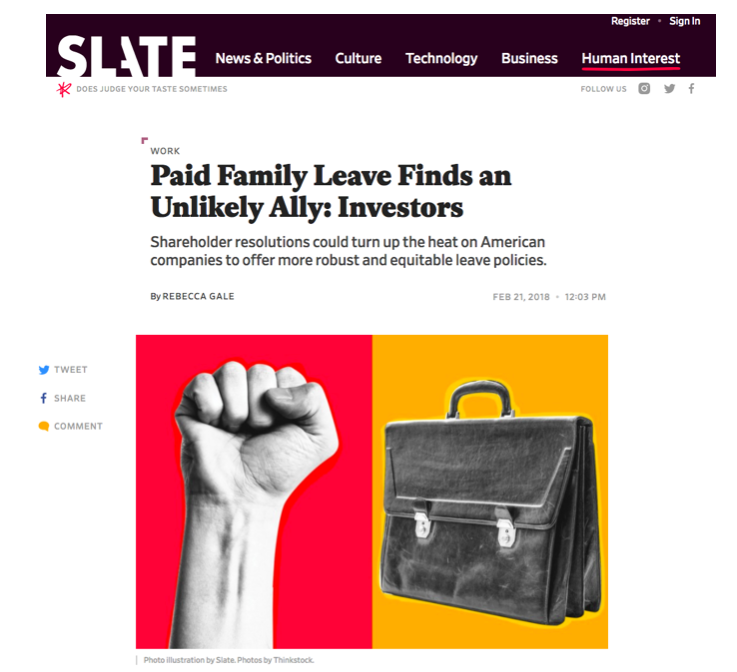 How One Mom Changed Lyft's Paid Family Leave Policy (Slate). 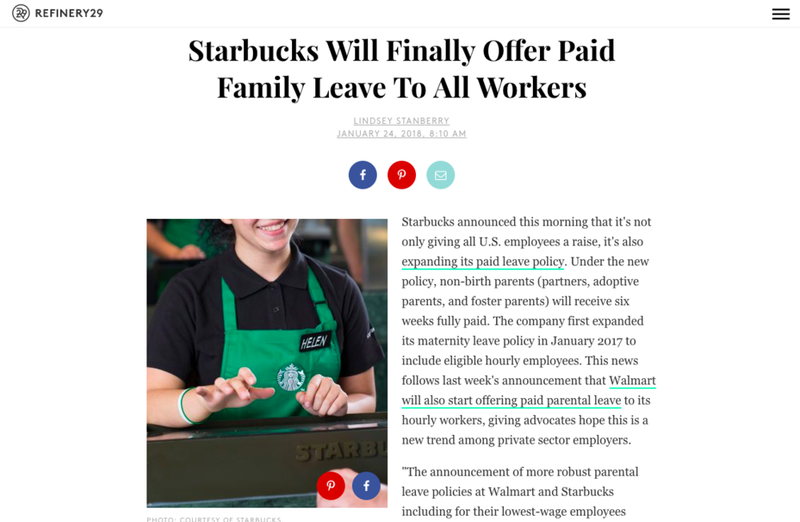 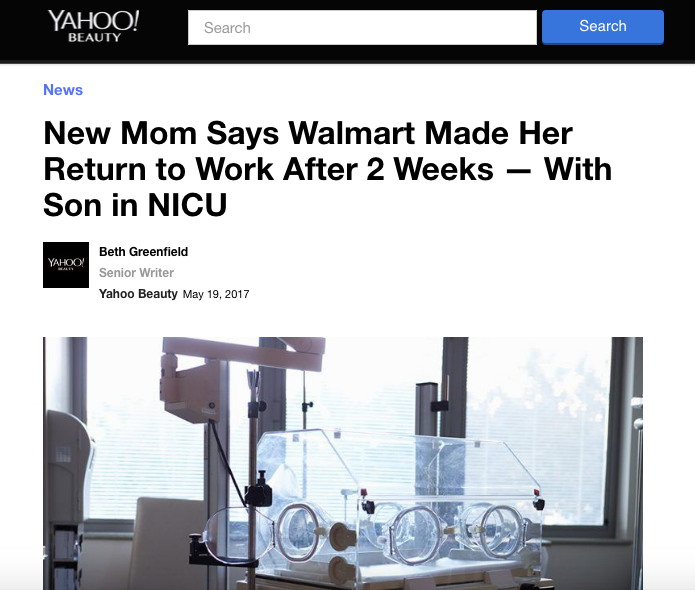 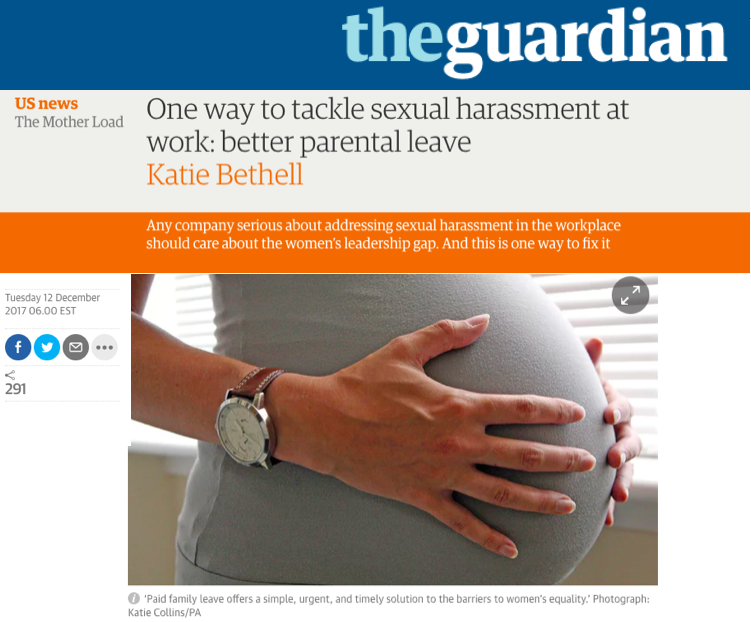 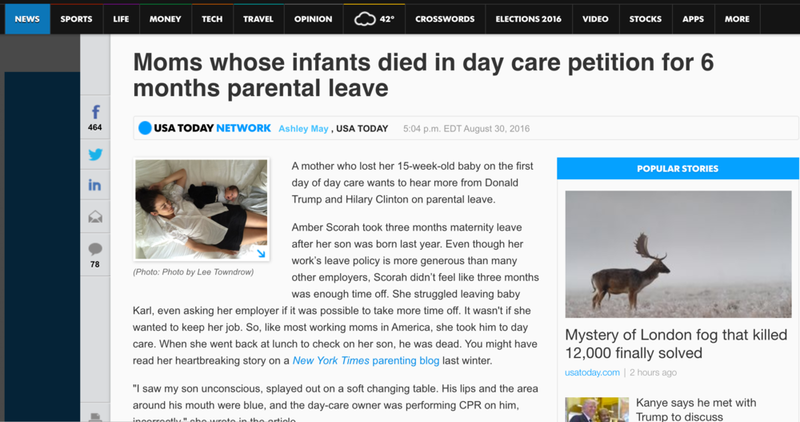 I Convinced My Company to Adopt a Paid Family Leave Policy (Time/Motto).